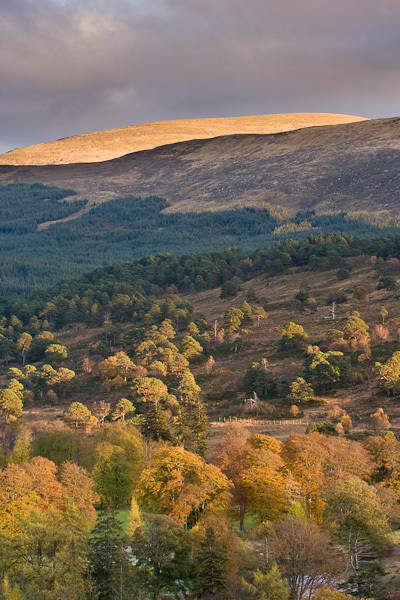 Light from the setting sun behind a nearby hill was just touching the tops of the trees in the glen when I made this image. Passing clouds shielded the far side from the sun, creating alternating bands of light and dark areas in the image. Photo © copyright by Graham Chalmers.